This is The Must Have Super Absorbent Towel Set For The Home!!! Combine a Chamois, a Towel, and a Sponge and you get these Super Absorbent Towels Set! Made of 100% wood fibre designed with special absorption technology, these Super Absorbent Towels easily removes stains without a trace, doesn’t drip, doesn’t make a mess, and cleans any surface. Its antibacterial function prevents the growth of bacteria, preventing the occurrence of mildew, mould, and bad odour. 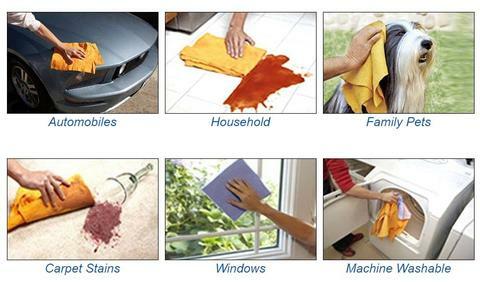 They are very soft and gentle to use on any surfaces while effectively cleaning them.